In 1983, Ron McBeath spent a month high in the Himalaya, in the Marsyangdi valley, behind the Annapurna range. 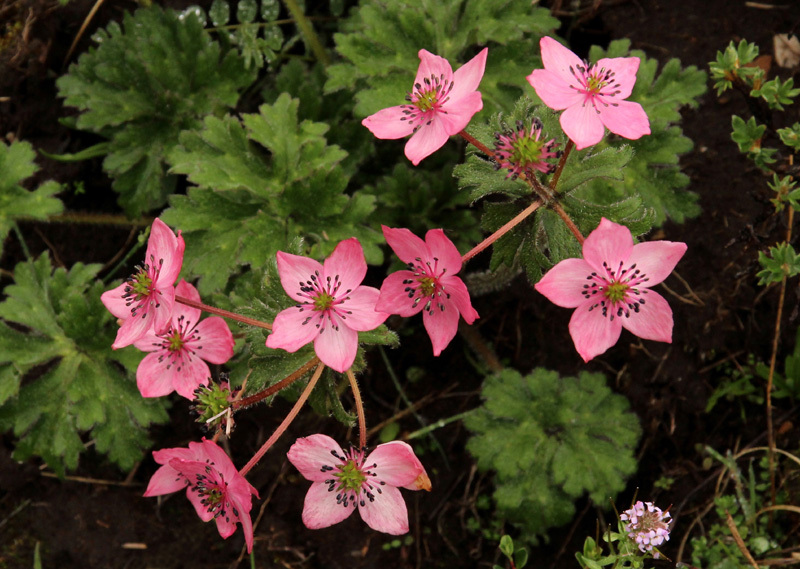 Among many plants which he described in his article in 'The Rock Garden', ane stands out. He wrote : "On any expedition such as this a lot of homework must be done before one departs for the mountains, with the result that most of the plants can be identified in the field. One such eye-catching plant was a superb form of the widespread Anemone demissa. 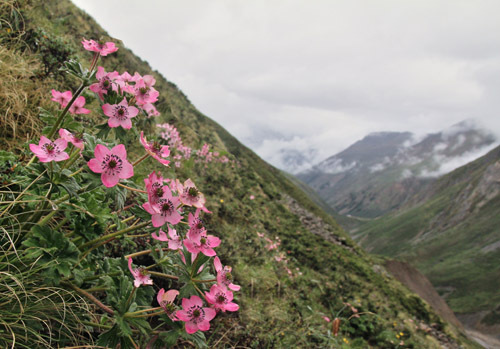 In general appearance it resembled a large-flowered form of Anemone narcissiflora, but with bright rose-pink petals, each petal with a pale pink central band. The flowers were held in clusters on branched stems 60 cm high.. This superb plant was found only in one small area in the Kone khola at 4100m. Without a doubt, this form of Anemone demissa would make the greatest impact in our gardens if its introduction proves to be successful." In 2012, we were in the same area, while trekking up the Marsyangdi valley on the Annapurna Trail. 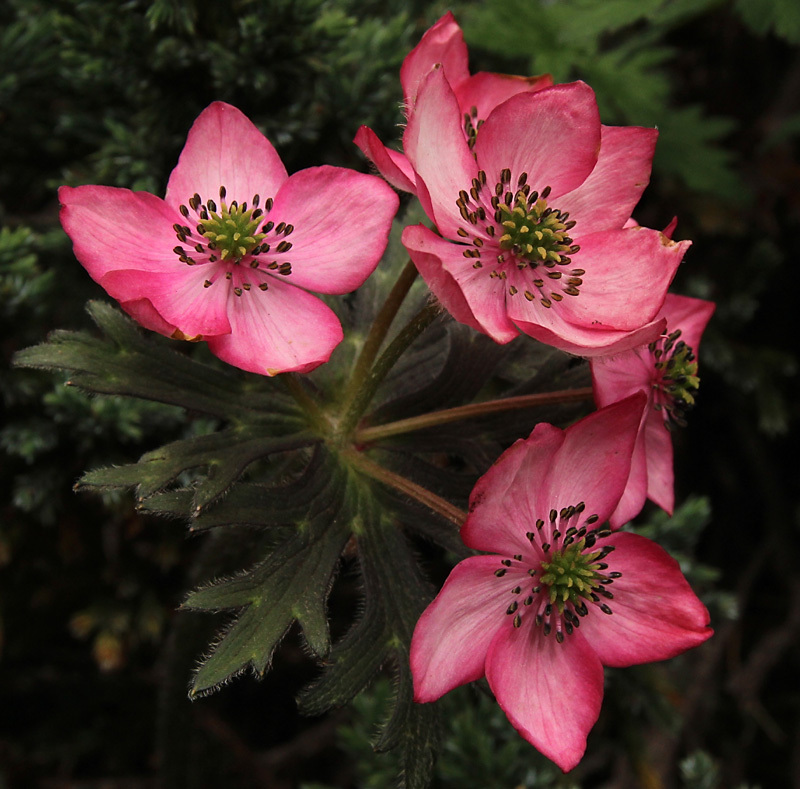 The rose-pink form of Anemone demissa is still there, still as desirable, and still not, to the best of our knowledge, in cultivation. Some things are worth the journey.